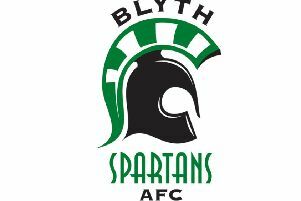 Blyth Spartans have issued a statement urging supporters to get behind the club and back them to safeguard their future. The club say changes are required to ensure they Spartans can be financed at an appropriate level to be competitive. The statement says: “The single biggest requirement is a commitment from the people of Blyth to support the club by attending home games. The current average attendance is less than 700, this needs to rise to over a 1000 if the club is to remain competitive. 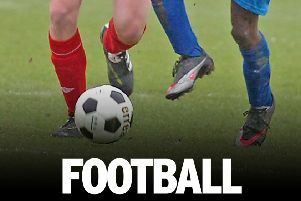 “Spartans are playing some of the most attractive football ever seen at Croft Park. If you are a lapsed supporter or one of the thousands of new residents of Blyth, we would urge you to turn up and sample the atmosphere at the match and in the clubhouse before and after the game. “There are also administrative issues that require attention. The Company’s Articles of Association are currently based on the out of date 1929 Companies Act. At the club’s AGM in August last year it was unanimously agreed to update the Articles to the latest version as supplied by FA approved solicitors Muckle LLP. “To this end almost 3800 shareholders were written to and asked to confirm their contact details. Less than 5% of shareholders responded. This is probably because the shares were issued in the early 1970’s primarily to raise funds to build the Social Club. The certificates were probably considered a membership card and of little value and the vast majority of then shareholders have likely passed on without making transfer arrangements. The club can now advise that all shareholders who have confirmed their contact details have been contacted again and notified that an EGM will be held on Thursday 28th February at 7.30pm in the clubhouse to ratify the decision made at the AGM. “Only confirmed shareholders will be allowed to attend the meeting. The changes will allow a rationalisation of the share register which will open the opportunity for the directors to explore the possibility of attracting additional investment. “The club is also looking to strengthen its Executive Committee.